Can you spot the important change in Facebook's friends icon? Can you spot the important change in Facebook’s friends icon? Did you notice that the little, unassuming “Friends” icon in the upper right corner of your Facebook has undergone a major makeover? 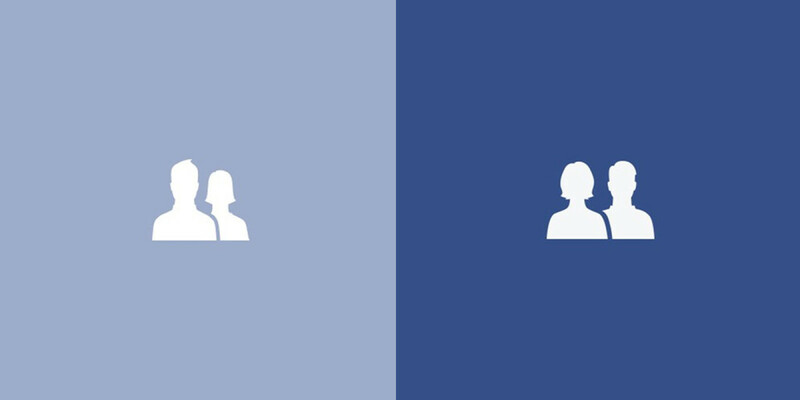 Caitlin Winner, a design manager at Facebook, wrote in a Medium post today that she noticed something off about how the faceless silhouettes of a man and a woman were initially designed. While the male glyph had broad, fully rounded shoulders, the female one had an odd indentation in the shoulder on the left side — a marker, she later discovered, for the male glyph to be placed in front of her. But drawing in the lady’s shoulder sent Winner on a quest to re-do the people icons for Facebook, including reducing the helmet-head look of the woman’s haircut, as well as fixing the shoulders and hair of the male icon. But then, it came down to placement: in the old icon, the man prominently stood ahead of the woman, who was scaled to be at a distance behind him. After iterations where both the man and the woman were placed equally within the icon, Winner ultimately decided on putting the woman in front, slightly smaller than the man. She also repositioned the position of people in the “Groups” icon, again placing the woman in front. Coworkers at Facebook helped her implement the change, and the subtle changes in the icon occurred roughly six months ago. Winner wrote that the self-led project has now placed her on high alert for symbolism in icons. I try to question all icons, especially those that feel the most familiar. For example, is the briefcase the best symbol for ‘work’? Which population carried briefcases and in which era? What are other ways that ‘work’ could be symbolized and what would those icons evoke for the majority of people on Earth? Read Next: Facebook changed its logo yesterday, did you notice?